Traditional Nuad Boran is a healing art form handed down from master to student for more than 2,000 years. This integrated modality includes acupressure, energy meridian work, breath cultivation and yoga related stretches. Physically this bodywork improves circulation, flexibility, and joint mobilization. On an energetic level, Thai massage works with sen lines to promote the natural healing process on a subtle, yet deep level. The session is both stimulating and relaxing to create a perfect balance for the body. It is often described as "having yoga done for you," likened to assisted yoga. Given on a soft futon mat directly on the floor, the client wears loose stretchy clothing for a relaxing experience. Unique to the Thai tradition, hot herbal compresses are incorporated in to a session. Herbs for the compresses are blended to address the needs of the individual based on injury or imbalances. Heated herbal bundles are beneficial for sore muscles and ligaments. They also help ease back pain, arthritis, stress, and respiratory issues. "The body is our best guide... yoga is all about creating space in the body for breath and space in the mind for joy." 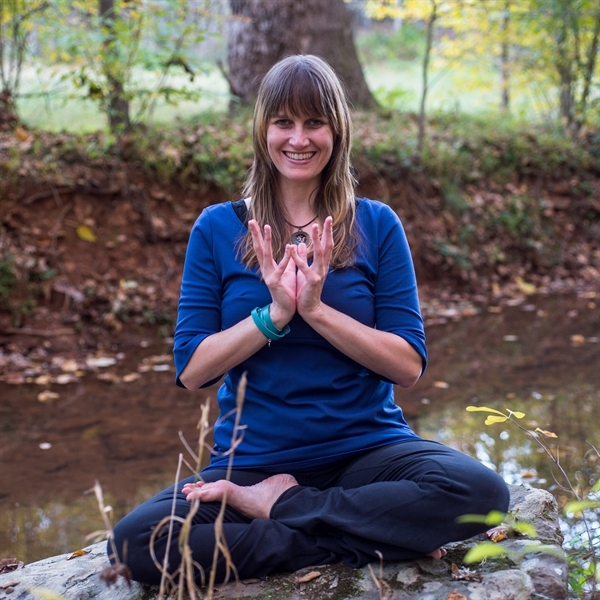 Michele White is a certified yogi with her own studio in Scottsville, VA, just south of Charlottesville.